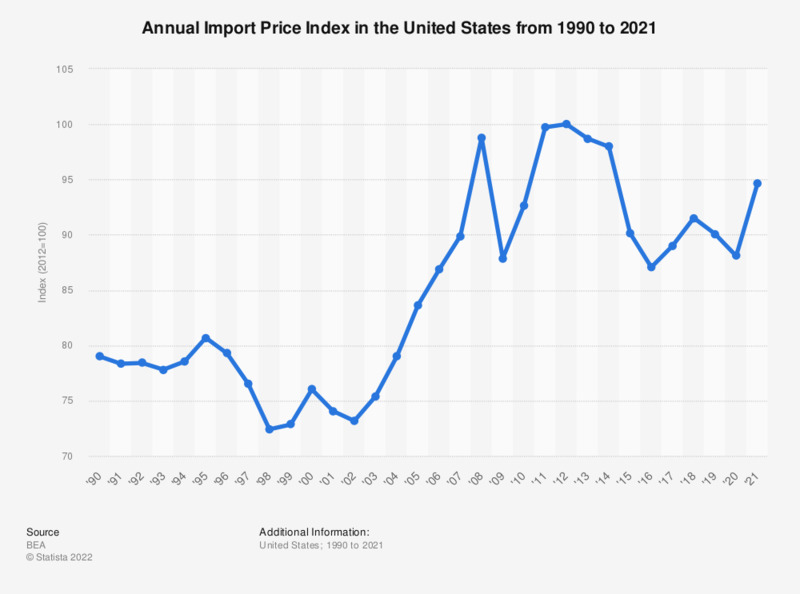 This statistic shows the annual Import Price Index in the United States from 1990 to 2018. This Index consists of import prices for goods and services. In 2018, the overall Import Price Index was 91.22 .